Last week we had an amazing party! 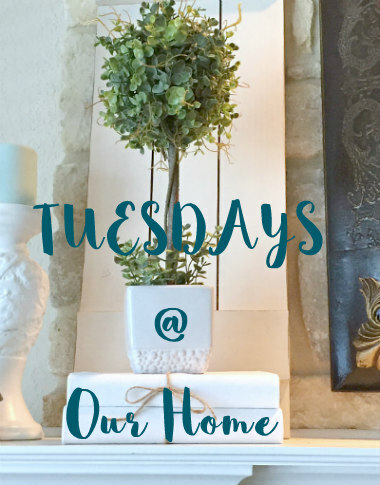 It is easy to see Fall decor is in everyone's mind and we are all getting our homes ready for the new season. If you need some inspiration, take a look at these beautiful posts. 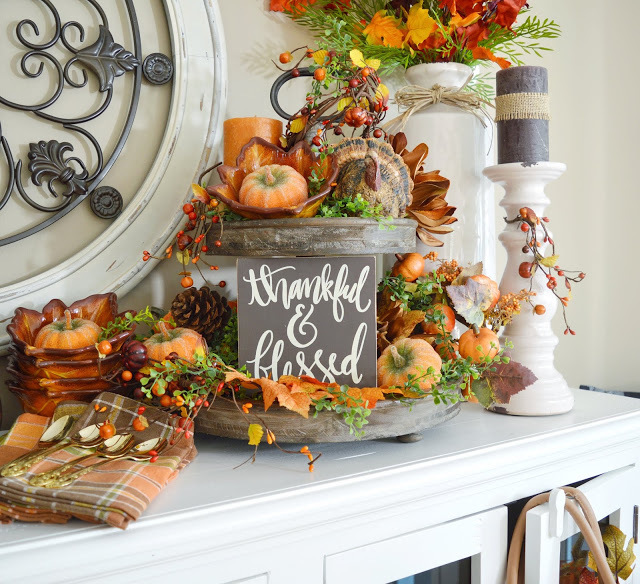 I love the way Lori at Dining Delight always decorates her home for Fall. You just have to go see how beautifully she decorated her kitchen sideboard. Brandy at Gluesticks showed us how to make a Halloween Lollipop Tree For Trick or Treaters. 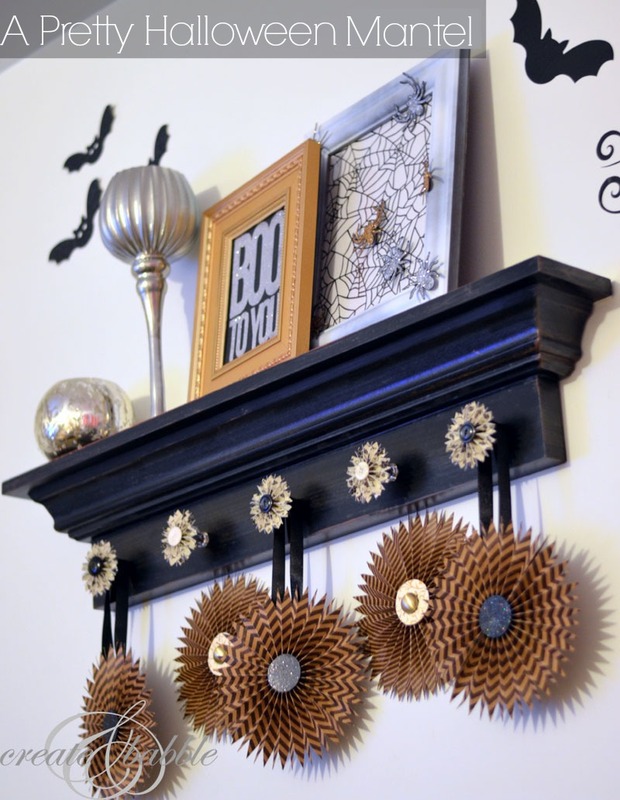 Jeanie at Create & Babble created a very pretty Halloween Mantle. 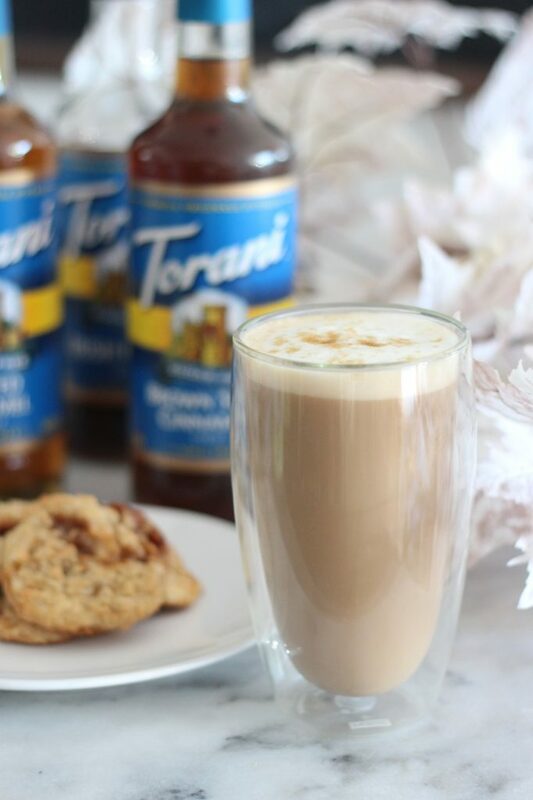 Jessa at Sparkle Living shared a wonderful recipe for Oatmeal Cookie Latte. 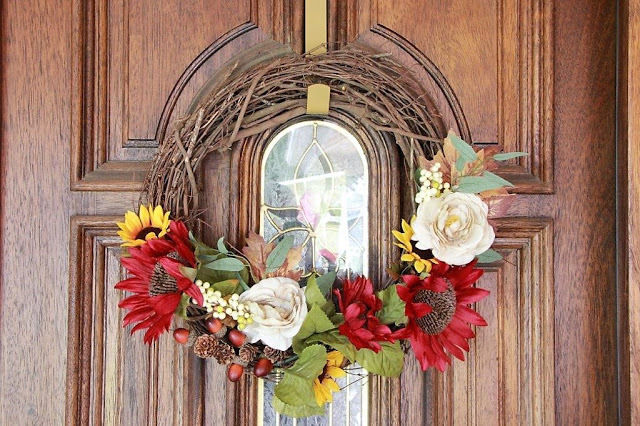 Loni at Clearwater Cottage made a beautiful and easy to make Fall wreath. 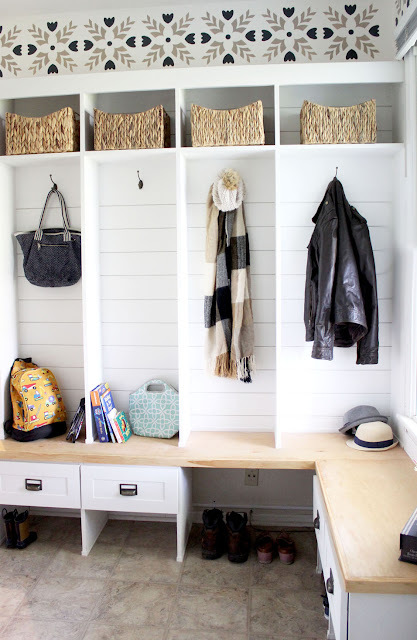 Eileen at Just Measuring Up gave their mudroom a gorgeous makeover. Thank you so much Maria Elena for featuring my Traditional Fall Colours on my kitchen sideboard! Always a thrill to scroll through and see one of my posts highlighted and especially at your terrific weekly party. Thank you for hosting each week, I really appreciate all your efforts!